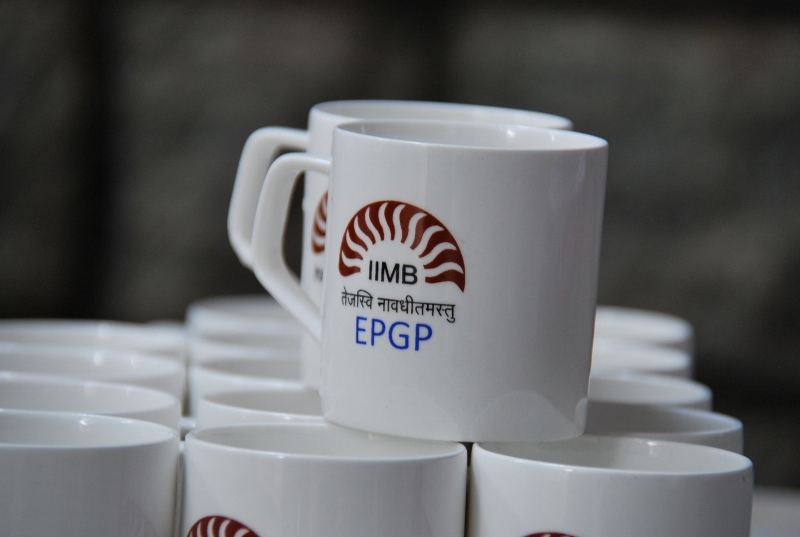 It has been just two week since EPGP batch nine finished their stint at IIM Bangalore and everyone around seems to be starting to take the first steps towards a new life. While some are searching for new homes and booking their packers and movers, others have moved back to their respective cities and spending time with their families. As I get plan to get back to campus for our convocation (and celebrating the ‘we-did-it’ moment), I can’t help reflecting on this one-year, roller coaster ride. When I first joined EPGP, I was scared that competing with the best minds would wear me down and that I wasn’t made for the innumerable projects and the sleepless nights. I remember not understanding anything in the first few Decision Science classes and returning with a heavy heart and the realization that the next one year will be an uphill task. But then things took a sharp U-turn as friends entered the scene and made each day better. I had never imagined that I would make any close friends here but as I swam with the flow of the rigorous program, I discovered the importance of friendship; and discovered a handful of friends who supported me, anchored me, pushed me to learn and excel and have loads of fun. The friend who cleared your doubts and pushed you to study for quizzes and exams, the brilliant friend who understood every word uttered by the professor, the one whose jokes made every day a fun ride, the friend who hosted the best parties and made sure you unwind after every stressful exam, the one who cared for you when you broke your leg (yes, unfortunately even this happened), the one who listened patiently to your cribbing, the chill-pill friend who is always above all of the drama and the one who constantly stood by our side and made each day bearable; each friend had a different role to play and I admit that each one made EPGP a better experience for me. At this point, I should also acknowledge the ‘Spouse’ (called an additional member of the batch and who has maybe enjoyed more than me in the last one year because he didn’t have to study) who has made more friends than me and has always encouraged me to enjoy the EPGP experience. I have shed a lot of tears (and I never knew I was a cry-baby) as each one packed their bags and left Ajmera (our home for the last one year) and I know that I will miss each one of them dearly. As I start living in a new apartment (in a new area in Bangalore) near to my new workplace, I realize more and more that what I will miss the most is the ‘Ajmera Experience’. The Ajmera experience will always be remembered as an adventurous, exciting and fun-filled phase for me. Every time, I would be bored or tensed with the rigors of the program, I could just walk down to any apartment (or a few of them) and have an interesting chat on any topic around the world and be refreshed to tackle some more stress. Every time I needed something (it could be a lemon or some cello tape or even a mattress), I could just ping on the EPGP group and someone would have it ready. Moreover, every time something special was made (mutton curry, fish fry, kadhi-chawal, etc) in any house, all of us would indulge in a ‘maha-bhog’ where we would hog incessantly and then complain of overeating and getting fatter. Those discussion and debates over cups of chai (and other beverages), sutta (yes, secondhand smoke counts too) and the complaints from the society security guards for making too much noise will be treasured and remembered each day. Honestly, making friends wasn’t my top priority when I entered this program, but as each day passes, I realize that it will be these memories and the close friends which I will hold close and carry with me forever. Friends have defined the EPGP experience for me and I will hold them all close to my heart. Adieu EPGP! Signing off from this program with a treasure box of memories and the hope that we will meet again and again. March 19, 2018 in IIMB Experience. ← Am I a richer person today compared to 11 months back ? Such a heart warming read Tridisha! I have read quite a few blogs and still awaiting one where I can read first hand experience of a Mum(if any) on the EPGP batch. Is it really daunting to handle EPGP and partial responsibilities of being a Mum (considering there will be either the spouse or grandparents to take care of things 24*7)…..